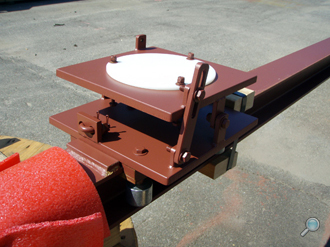 Mooring Systems, Inc. designs and fabricates pier and piling mounted structures for installation of underwater instrumentation. These mechanical structures incorporate steel I-Beams with instrument mounting sleds that travel vertically up and down along pilings or other pier structure. 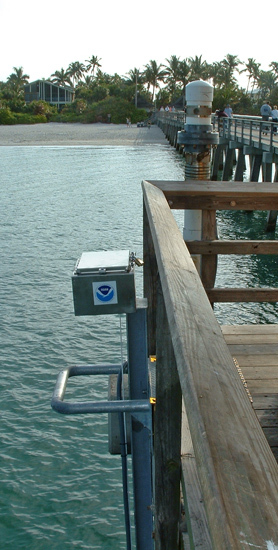 These special mounts were first designed by Mooring Systems in response to the National Ocean Services' (NOS) requirement to use side looking acoustic Doppler profilers mounted directly to pilings for monitoring current velocity in real time. Their primary purpose is to aid vessels during docking operations in harbors with relatively high and variable currents. LNG plant docking sites have benefited from these systems. These mounts allow the deployment and retrieval of a current profiler, without the need for divers. 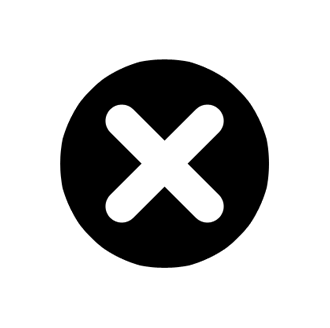 Cleaning and servicing of instruments is easily accomplished with use of built-in hand winch, battery-powered chain windlass, or battery-powered rope winch. 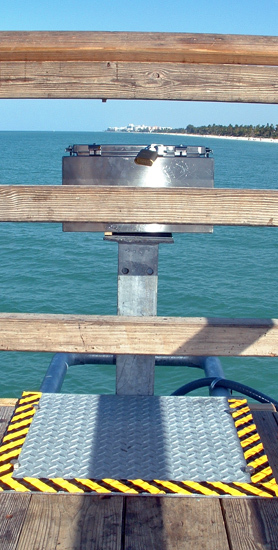 These "Track" style mounts are robust to meet varied environmental conditions, and provide easy access at any tide condition. 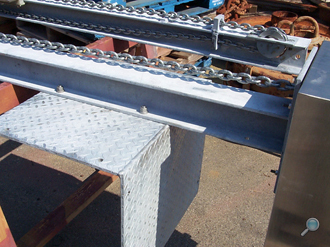 Continuous lengths of up to 40 feet in length, or 2m sections that can be assembled together for any length.